Chemsol Plus garments are manufactured from a softer, more tactile 340g/m² EPVC/Polyester fabric with additional anti-static and flame retardant properties needed for many higher risk applications. Provides exceptional protection against chemicals and water. Manufactured with a hood for added protection against rain. Highly visible chest bands, for improved visibility at night. Secure fit with a Velcro fastening system. 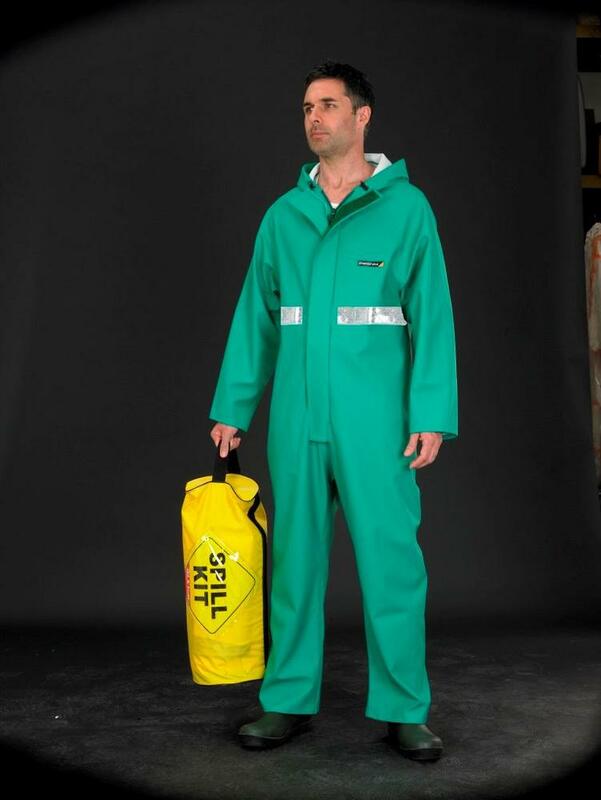 Alpha Solway CPBH-R FR Hi Vis Chemical Coverall conforms to: BS EN 465 type 4, 466 type 3 and 467. Flame retardant properties prEN533. Antistatic properties BS EN 1149-1, 1996. Performance requirements for chemical protective clothing with spray-tight connections between different clothing parts.